Spring Training is just around the corner, with pitchers and catchers scheduled to report to Tampa within the next ten days (no later than Tuesday, February 13th). First workout will be on Valentine’s Day. Yes, we love those pitchers and catchers, especially when they wear Pinstripes. Here is the complete list of the Yankees' 40-man roster plus non-roster invitees (identified below as “NR” in lieu of numbers). The numbers are according to the Yankees website through MLB.com. It appears that Austin Romine has taken Joe Girardi’s old number, thanks to his loss of #27. Gleyber Torres and Miguel Andujar have been given high numbers which means nothing will be handed to them, although, as it stands right now, both are projected to be on the MLB Roster on Opening Day or shortly thereafter. There is still time for these 60 names to change and there probably will be some tweaks before camp actually opens. At any rate, it will be very exciting to see many of these players on the field in the not-so-distant future. Position players must report by Sunday, February 18th, with the first full workout scheduled for the next day. The Yankees open their Spring Schedule in 20 days against the Detroit Tigers at Steinbrenner Field (1:05 pm EST, February 23rd). 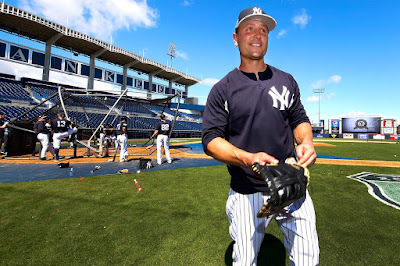 It was sad to read this weekend that Matt Holliday, who would still like to play, has received no offers. Hopefully somebody gives him the opportunity for his Swan Song. 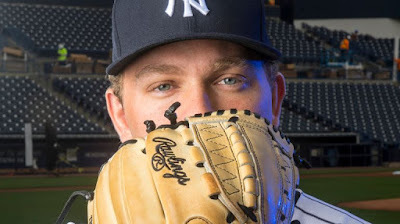 He was a tremendous force on the Yankees last year until he was derailed by the Epstein-Barr virus. Unfortunately, I see no room for him on the Yankees but he’d be a tremendous player/coach/mentor for a team wiling to give him the opportunity. 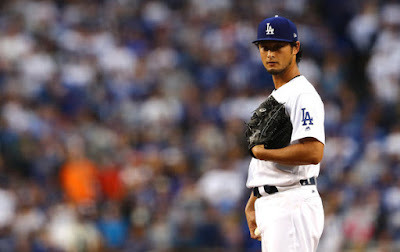 I won’t lie…there is a part of me that hopes the Yankees find a way to sign Yu Darvish. 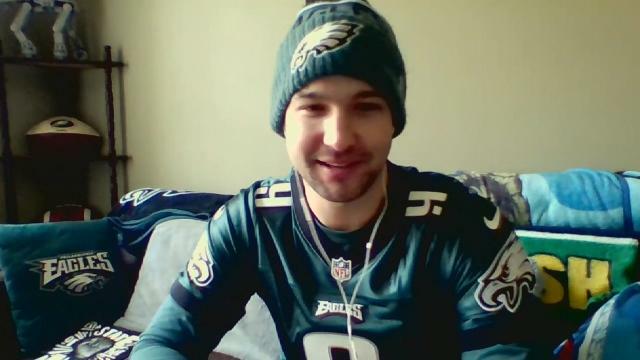 Bryan Van Dusen (@BryanV_TGP) posted the following question on Twitter this morning: “Does Yu Darvish want to be a Yankee so bad that he’s willing to wait as long as possible, just in case they free up enough money? Or is this a ridiculous question by a desperate #Yankees fan?” Logic tells me that it will never happen. 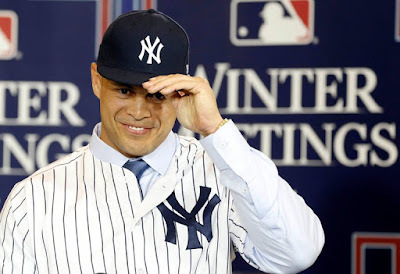 Even if the Yankees freed up more salary space, there’s probably other areas of greater need than handing a multi-year contract averaging more than $20 million annually to a thirty-something pitcher. Plus, there are young, talented (and cheap) pitchers on the immediate horizon with Chance Adams, Justus Sheffield, Albert Abreu and others. 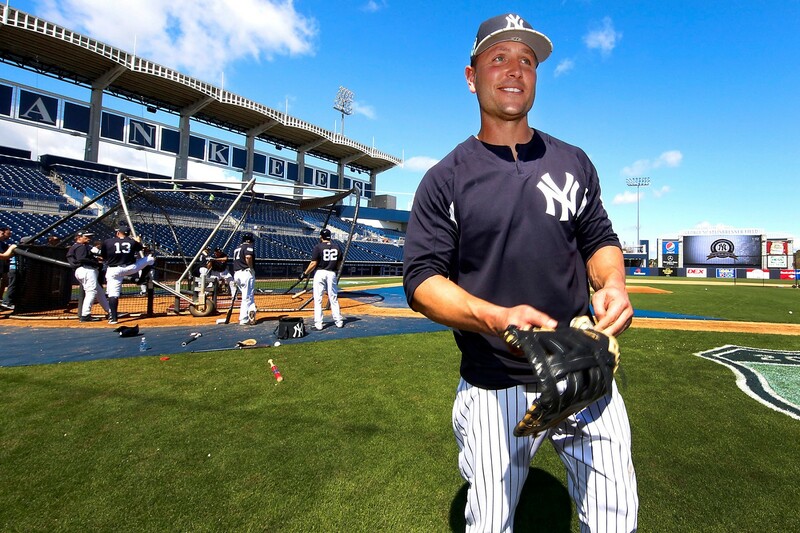 But still, it’s nice to think about what Darvish would look like in the Yankees rotation. I have no problem with the Yankees getting “Greedy”. TGP, forever. I bit my tongue for a while, but now I'll say something, and hope to get all of your opinions. I'm tired of reading about collusion every time I go to a baseball website. It's not collusion, it's a market correction. J.D. Martinez is a legit middle of the order bat, there's no denying that. But he's such a poor defender that he was reduced to a 4 win player. Gardner was a 4 win player. Is he worth $25 million a year? I don't think so. Yet Martinez supposedly has an offer around that dollar amount, and he's holding out for more. $25 million puts him on the level of Stanton and Trout. Both of whom are 6-8 win players. I think these free agents are asking for ridiculous commitments, and it's their fault that they're currently unemployed! I hold the same opinion. I think MLB has finally seen the light when it comes to overpaying aging players based on past performance. Baseball is experiencing revenues greater than ever before, and I think there are other ways to make it more equitable for the players, but I do not feel that the current market is a product of collusion. To the best of my knowledge, there is not a current free agent that does not carry question marks. I don't blame the Yankees and Dodgers for the desire to get under the $197 million threshold. I don't blame other organizations for wanting to avoid Jacoby Ellsbury or Matt Kemp situations. It can be argued there are some owners more interested in lining their own pockets than placing a quality product on the field, but they own their respective teams and have the right to run their businesses as they see fit. I agree with your assessment that it is a market correction. Couldn't agree more Scott. I don't think teams have a problem with the AAV of these contracts. I think they have a problem with length. It seems as though the better teams have figured out...One can't build a five/six year WS run with high priced (some over priced) players over 32/33! Some GM's have learned from history but, they had to convince the ownership...Cashman is one GM that was there at the start of (what the younger fans call) the greatest team in Yankee History. (I will let that pass because, most peoples history begins at about the age of 5/7 years old)! A solid core of about five to seven players with a few 27 to 30 year old good fill ins can produce a few Gold Rings. Just a note: 5 WS wins in 22 years is nothing in my history of the Yanks. 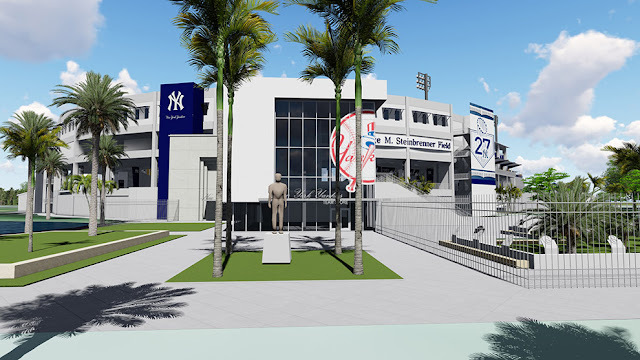 But as the set-up just to get to the game has become harder now days, let me say..."The yankees are the history of the game", the team every other team wants to be, but they are just, one or two year wonders. Play the kids and don't even think of trading the guys that will help in the near future.